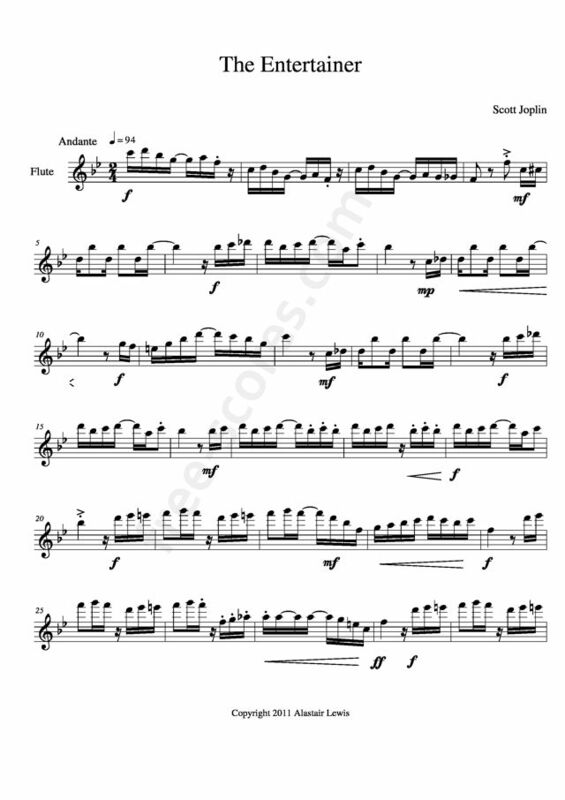 'The Entertainer' by Scott Joplin is a ragtime piece originally for piano written in 1802. The piece is sub-titled "A Rag Time Two Step" which was a popular dance at that time, and was a style common to many other rags. The music is dedicated to "James Brown and his Mandolin Club". The author Rudi Blesh wrote that "some of the melodies recall the pluckings and the fast tremolos of the little steel-stringed plectrum instruments..."
Joplin's masterpiece returned to international prominence in the 1970s during a revival of ragtime music, which included its use in a major Hollywood Oscar-winning film 'The Sting' starring Paul Newman and Robert Redford. 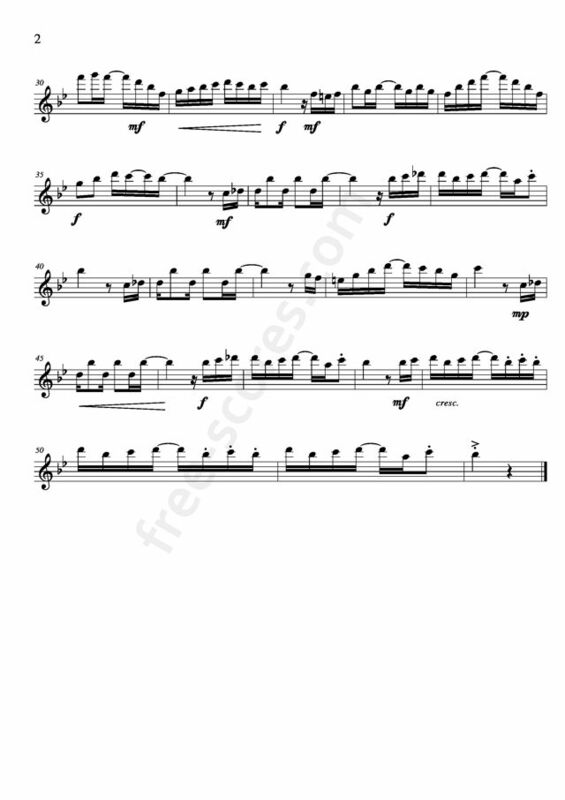 This free sheet music is for solo flute. 39 scores found for "The Entertainer"
4 scores found for "The Entertainer"